The fourth season of the House of Cards TV series will premiere on Netflix, Friday, March 4, 2016. As we predicted, the premiere date was announced in an ad on CNN, during the fifth GOP 2016 Presidential debate. Watch it, below. 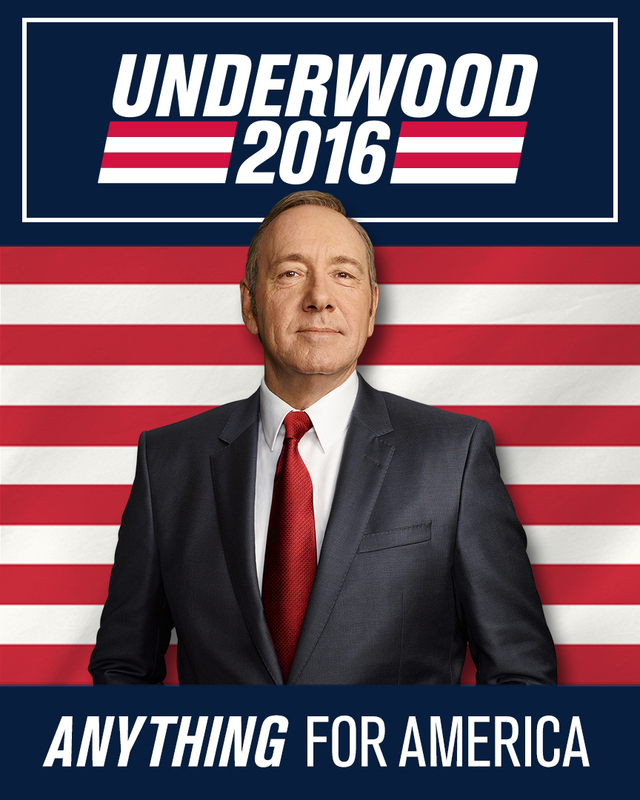 The House of Cards season four promo is shot in the style of a political ad, starring Kevin Spacey’s character, President Frank Underwood. The promo aired during a commercial break, between an actual “Vote 4 Energy” ad from the American Petroleum Institute, and a CNN spot for its original series, Race for the White House. It’s a new day in America. Today, more people will go to work, return home to their families, and sleep more soundly than ever before, all because one man refuses to settle — putting people before politics. That man is Frank Underwood. Did you catch the spot during the CNN Republican debate? Have you been watching the House of Cards TV show on Netflix? Do you plan to watch the fourth season? Place your vote, in the comments. More about: CNN TV shows: canceled or renewed?, House of Cards, House of Cards: canceled or renewed?, Netflix TV shows: canceled or renewed?, Race for the White House, Race for the White House: canceled or renewed? House of Cards: Season Four Announcement Coming?